Our Colossal Stems™ has proven to be an instant classic! 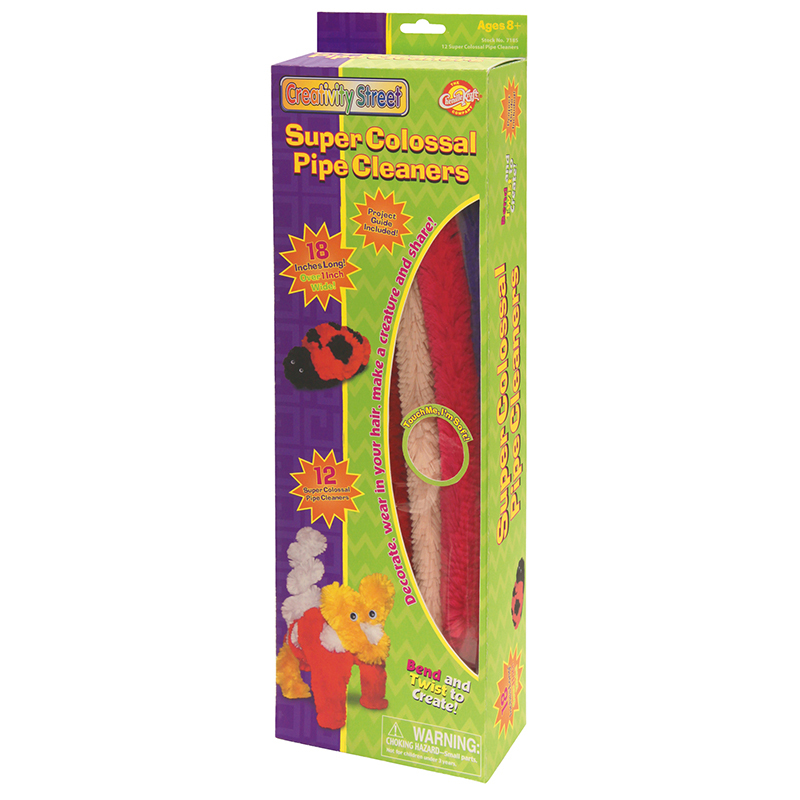 Great for small hands and for adding a new dimension to craft projects. These extra large chenille stems are a WHOPPING! 19-1/2" long with a 15mm diameter (over 1/2"). ALSO AVAILABLE in Bumps and Tinsel Stems. 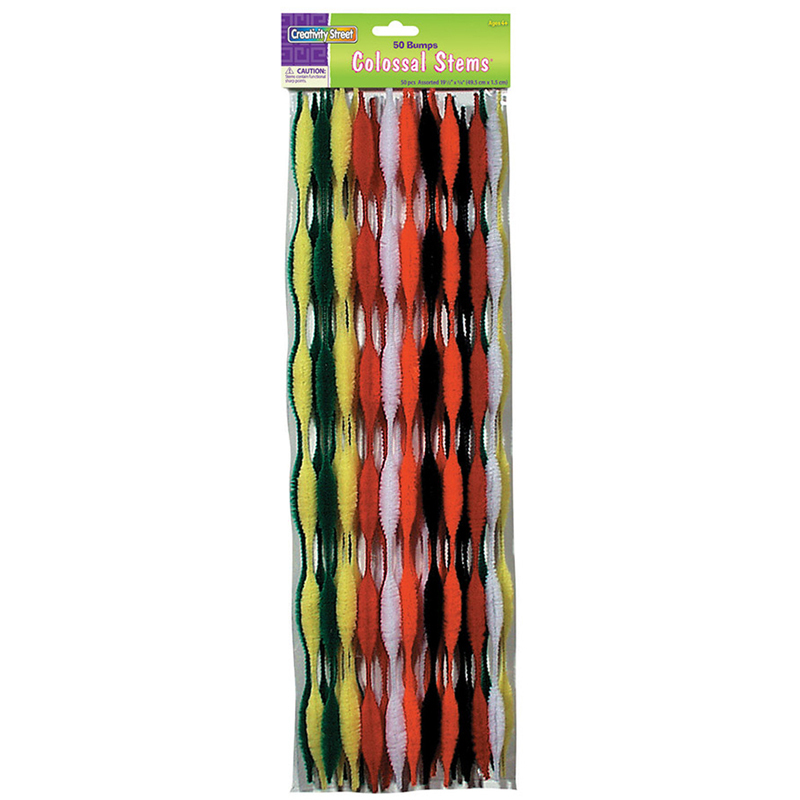 The Colossal Stems Asst 19.5in 50pk can be found in our Chenille Stems product category within the Arts & Crafts. A classic arts and crafts supply! Great for small hands and adding a new dimension to craft projects. 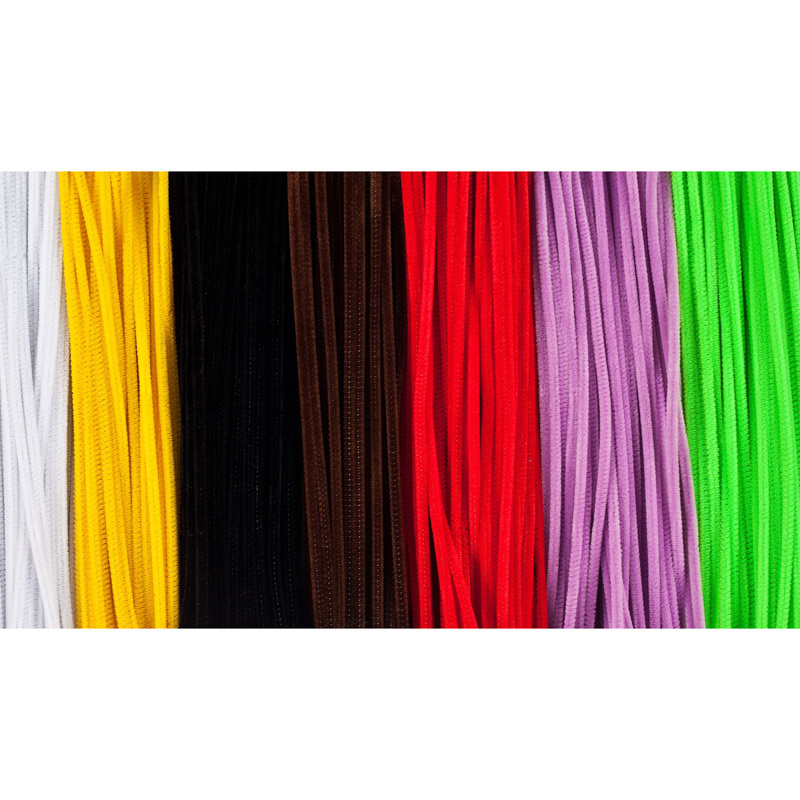 These extra long chenille stems are 19.5" long x 15mm! 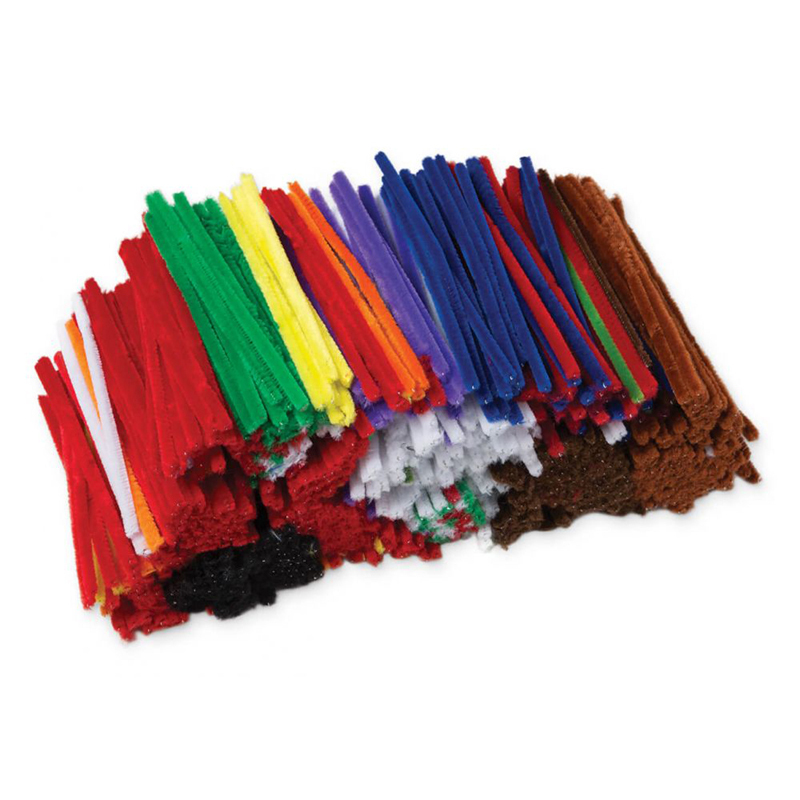 Each pack includes 50 pieces in assorted colors. 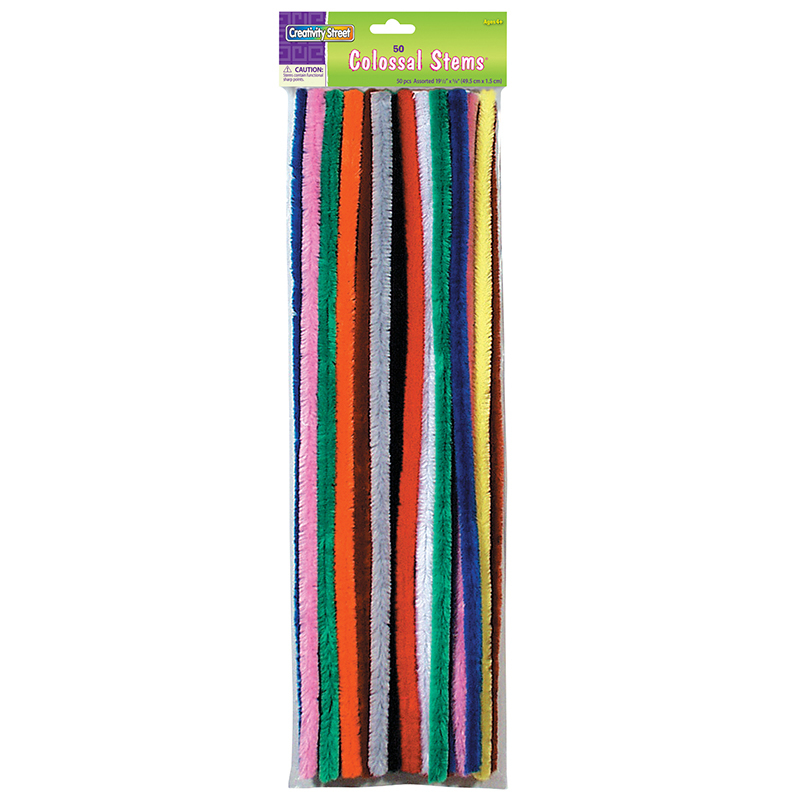 Jumbo Assorted 6mm Chenille Stems can be used with all types of collage or craft projects. Made of crush resistant polyester. Each stem is 6" long. Box contains 1000 stems.